Gases are samples of matter that are highly disordered - possess a great deal of entropy. Gases will fill the volume and take the shape of their containers. 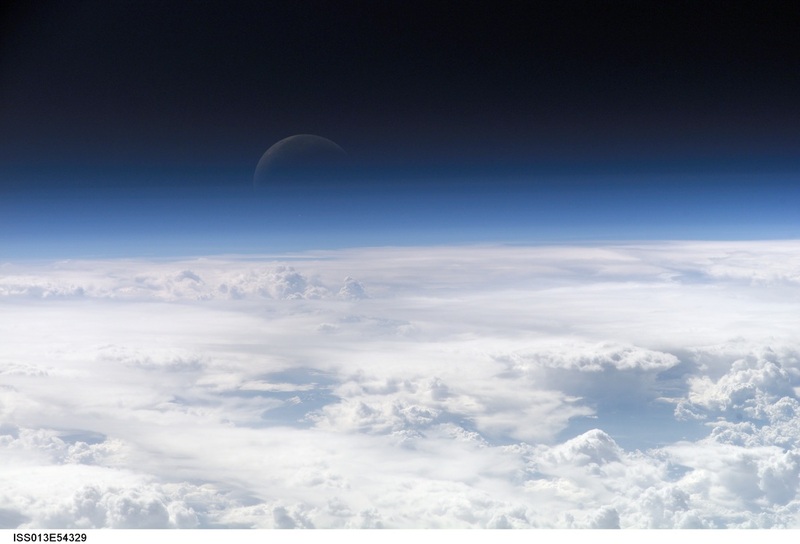 Earth's atmosphere is composed of the gases Nitrogen (~78%), Oxygen (~21%), plus carbon dioxide, water vapor, argon and other trace gases. Matter in the gas phase is considered to be highly disordered. Entropy is the measure of disorder in a system - thus gaseous samples of matter have a high level of entropy whereas solids and liquid samples of the same matter have less entropy. The following phase diagram illustrates the relationship of temperature and pressure relating to the phases of matter water can be found in. Matter that is not normally in the gas phase at room temperature - but are in a gaseous state because of an increase in temperature or a decrease in pressure - these samples of matter are said to be vapors. Vapor chemistry is incredibly interesting. The vapor pressure created by the release of carbon dioxide and water vapor from the surface of the liquid in a can of soda create the "inflated" feel of an unopened container. Dalton, a chemist we remember for beginning our modern understanding of atoms, did foundational research for a law that would later bear his name: Dalton's law of partial pressures.